Over the last few years, as an unavoidable consequence of online reporting and blogging, there has been a general degradation in the language of public discourse. For instance, the unmistakable reliance on automatic spell checkers is evident in many stories, and there has been a general relaxation of the rules of grammar, sometimes at the expense of intelligibility. 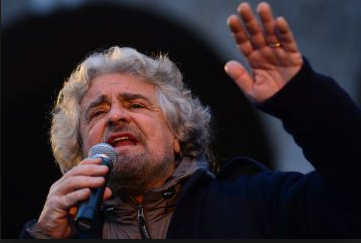 Yet perhaps the biggest gatecrasher of all is Beppe Grillo, who has upset the established order by riding a self-styled “tsunami” of disgust with the powers-that-be and grabbing a quarter of the parliamentary vote.